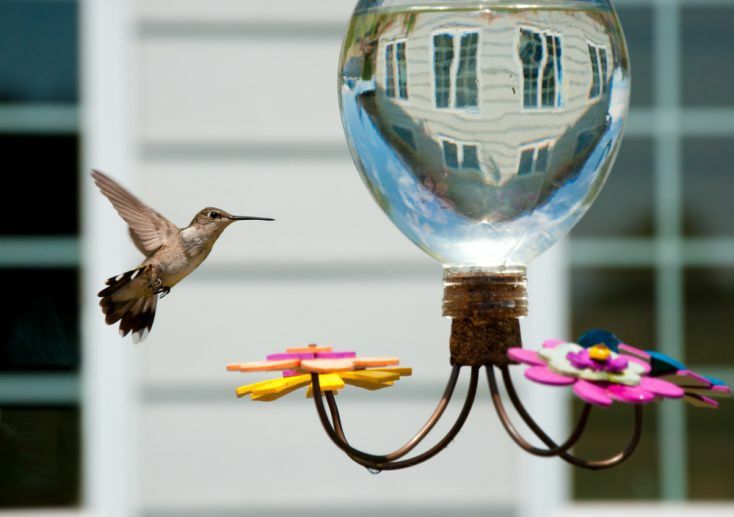 How Will The New Hummingbird Algorithm Affect My Law Firm's Marketing? Lawyers who use content to improve their search engine rankings have little to worry about with the release of the new search algorithm called Hummingbird. There is a reason Google ditched the black and white animals that personified their prior updates. But why exactly did they choose a hummingbird for their newest update, and what does it mean for your law firm's internet marketing strategy? To answer these questions, let's begin with a little information on the bird in question. Hummingbirds are lightning fast, and they display some of the most vibrant colors in the animal kingdom. While they are most known for their speed and beauty, hummingbirds are also wicked smart. A hummingbird's brain is 4.2% of its body weight, which is the largest brain-to-body proportion of any animal. This big brain allows the bird to remember every flower it has been to and how long it will take the flower to regenerate its nectar. In short, the hummingbird is no "bird brain." This makes the Hummingbird update less black and white than the Panda or Penguin updates, and this is a good thing. Not only were fewer websites punished than with past updates, the Hummingbird update rewards websites that focus not on keywords, but on high-quality content. For a more in-depth look at the new way Google is providing search results, read our article, "Getting to Know Google's Hummingbird is Crucial to Your Law Firm's Internet Success." While hummingbird feeders are fun, they can be dangers to the zippy aviators. If you don't clean your feeder often and don't use pure ingredients in the liquid you offer, you may harm or kill any hummingbirds that come to your feeder. Only posting interesting, well-written content. Knowing your target demographic and catering your content to their needs. Focusing on your unique selling proposition (USP). Only using keywords when they fit naturally. If you do these things, you will please the Hummingbird, please potential clients, and dramatically improve your conversion rates. If you'd like help ensuring your content is clean and sweet, consider getting a free site audit for your website. The audit will show you what you're doing wrong and how to make it right. Leanna, That is a great question! Titles are still very important, not as much as they once were, but definitely something you want to pay attention to. There is no 'secret recipe' to creating the perfect title for a piece of content, but location specific titles are definitely helpful for being seen as relevant in your local area. I would focus more on a title that is engaging and enticing to click on as it is not just meant for search engines, but also for the user reading the search engine result page (SERP). If the title doesn't make sense or isn't relevant to what is on the page it is going to be less likely you will see high click through rates or quality rankings in Google. A natural sounding title will be your best bet. Thanks for the question! I agree with all that you have said about the content...that is the easy part. What I don't find a lot of information on is how we should be writing/ handling the TITLES now. The Tiltle has always been important and I am sure it still must be. Is the title now conversational? Does it need geo and other "keywords". The last thing I want is to write great content and then not have an effective Title in Googles eyes. Any one have suggestions or a "formula"?